A fabulous, vibrant cobalt blue faceted oval Tanzanite, weighing 11.00 carats, casts a majestic violet-tinged glow between gleaming fans of sizable, seamlessly-set, icy white baguette diamonds, in this classic, radiant, and impressive estate jewel crafted in platinum. 1.50 carat total diamond weight). 9/16 inch, currently ring size 8 3/4. 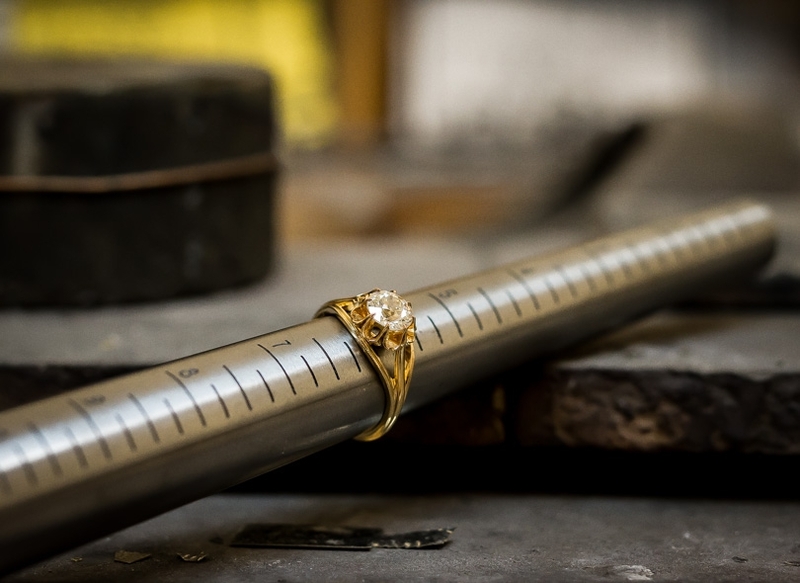 Carat Weight: 11.00 carat Because mountings prohibit full and accurate observation of gem quality and weight, all data pertaining to mounted gems can be considered as approximate unless accompanied by an independent laboratory certificate (AGL, EGL, GIA). Unless otherwise stated, all colored stones and pearls are assumed to be subject to a relatively stable and possibly undetected color and/or clarity enhancement.